Life is so much fun when you focus on the positive. 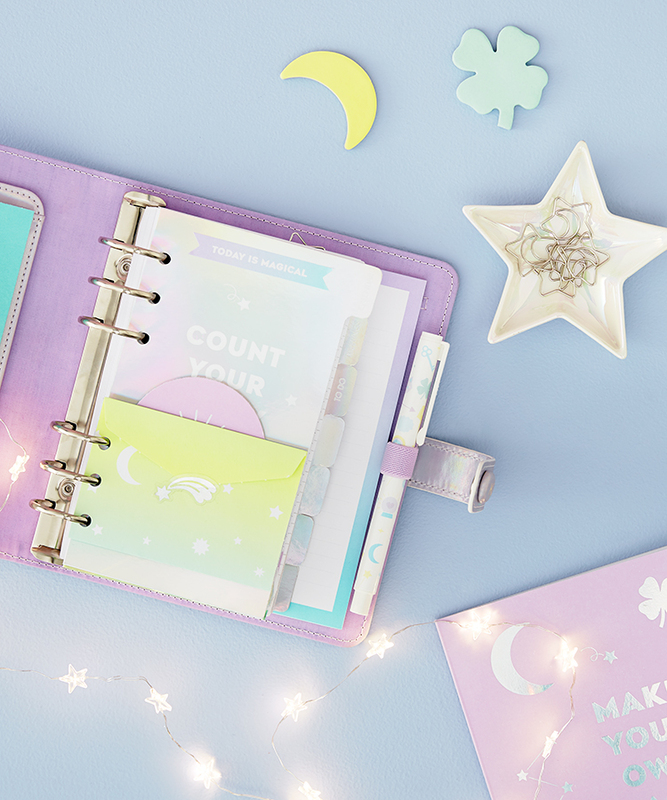 Our newest planner features a holographic cover and adorable lucky star motifs – you won’t be able to stop smiling! We want to inspire you to create a set up that motivates you and helps you to achieve all of your big dreams. Watch our video and read below to get started. We created a cute envelope from our Paper Lover’s Book and added pieces from our Inspiration Kit to add some everyday motivation to the front cover. We cut out a cute quote from our Feature Notepad and decorated the bottom of the page with Holographic Tape and Stickers. We then organised our schedule with Planner Stickers and our Sticker Sheets. We used our Adhesive Note Set to add our to do list for the week. We then decorated with quotes from our Inspiration Kit and stickers from our DIY Sticker Book. We hope these ideas have helped you get a feel for our newest collection. 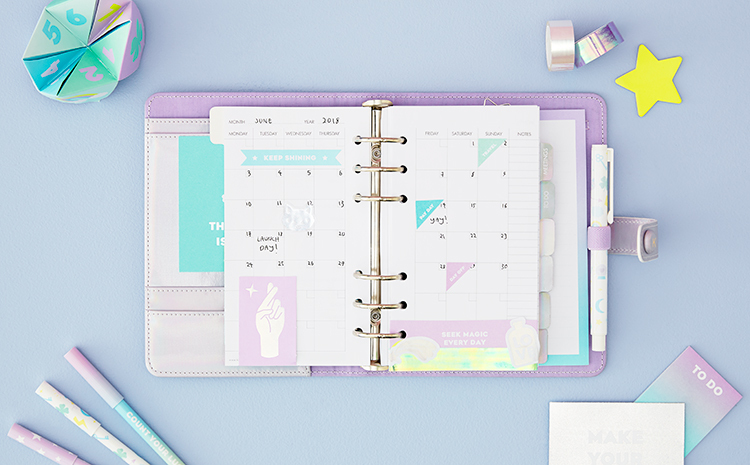 Let us know how you’re using your planner on social media with #kikkiKPlannerLove.